Good Choice Reading: Second Chance by Katie Kacvinsky Tour Kick off & Giveaway! Second Chance by Katie Kacvinsky Tour Kick off & Giveaway! Today the SECOND CHANCE by Katie Kacvinsky blog tour kicks off! It's going to be a week full of reviews, interviews, and more! We are so happy to be hosting this blog tour, as we are HUGE fans of Katie Kacvinsky! 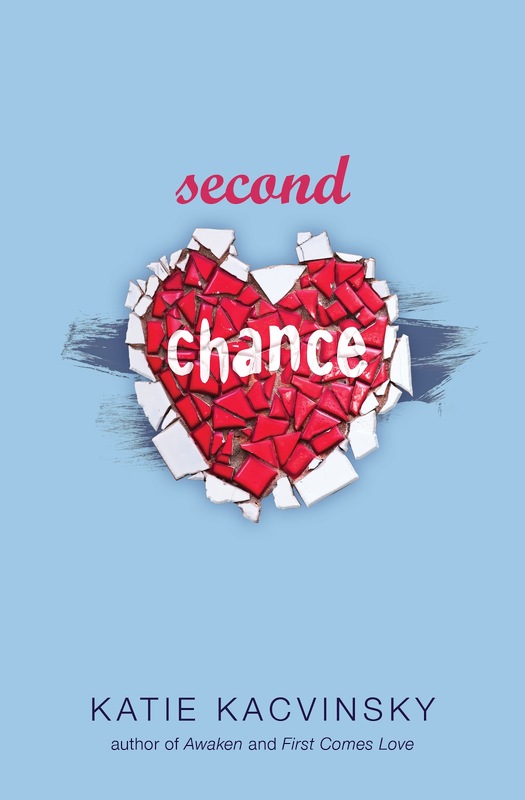 We start off with a review of SECOND CHANCE, the sequel to FIRST COMES LOVE. You can find my review of FIRST COMES LOVE - HERE. Katie is also giving away a SIGNED copy of FIRST COMES LOVE to one lucky person who follows the tour. To keep up with the entire tour, check out the schedule - HERE. 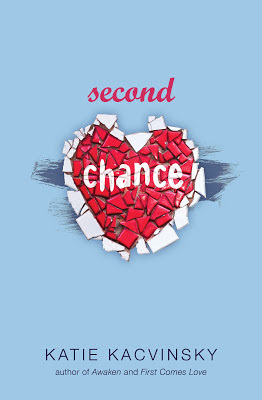 Second Chance takes you back into the lives of Dylan and Gray and their struggle to keep their love going. When I first started reading it I was a little worried that it would be one of those back and forth relationships and that it would just drag out until the very end. I was wrong and I am so happy with the outcome of things. Gray is tired of waiting for Dylan. He decides that he will no longer sit around and be depressed and love a girl who is so out of his reach. The book starts with Gray and his struggle to move on. My heart broke into so many pieces for him. He loves Dylan so much and he tried really hard to deal with the distance and wait for her. Eventually it just became too much for him and it was affecting his everyday life. When Dylan finally returns Gray feel anger, but happiness all at once. He gets so torn between being with her or letting her go. Dylan decides that Gray is the love of her life and that maybe it's time to settle down and stop traveling and see where things can go with Gray. Gray and Dylan go through so many struggles and I went through them all right along with them. Things were made clear between the two from beginning to end and they both accepted and respected what the other wanted. Dylan is a character that is so easy going and doesn't dwell on things or let things really bother her. She is a free spirit and is open to everything. She doesn't judge and she definitely doesn't care what others think about her. I absolutely love her! She was a lot of fun to read. There was nothing about her I hated. Gray is not far off and he is just the perfect guy. Their reactions to each other and certain things in their lives were so believable. Gray and Dylan could be anyone you know in real life. I want to go on and on about how realistic this book is and all the emotions I went through while reading it. I fell in love, had my heart broken then put back together, wanted to cry for both Gray and Dylan, and I also wanted to slap the two. They wanted to make each other happy at no matter what cost and it was heart breaking, but so good! No secret I give this book 5 out of 5 stars. I love Katie Kacvinsky and the way she can bring two characters to life with words. Also, a huge five stars for the way she can pull me into her world and feel like I am a part of it. She is on auto-buy for me no matter what genre she writes. Win a signed copy of the first book in Dylan and Gray's stoy, FIRST COMES LOVE. All you have to do is follow the Rafflecopter below. If you follow the tour and leave a comment once a day from now until November 9th, you can gain extra entries!! I am SO bloody excited for Second Chance. I adored First Comes Love and have been dying for this since I heard of it's existence. So glad you loved it! thanks for the awesome giveaway! Sounds fantastic!